An easy to follow fly tying video of a Zonker style pattern for trout or bass. 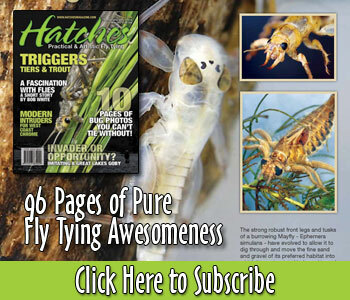 A versatile and easy to tie pattern, check out the BWO emerger. Summertime is Terrestrial time. There is no mistake on how effective a ant can be when fished under an overhanging tree or bank. This pattern not only offers a good “SPLAT” on contact with water, it also offers a solid profile construction and durability to fish all day. A great nymph pattern that not only looks great but is durable. Color and size can be easily adapted to meet local conditions and bugs.